The Mini WRC, based on the Countryman and run by Banbury-based preparation firm Prodrive, was officially launched at the Paris Motor Show on Thursday where it was also confirmed that reigning IRC champion Meeke, 31, would be behind the wheel in its debut season. 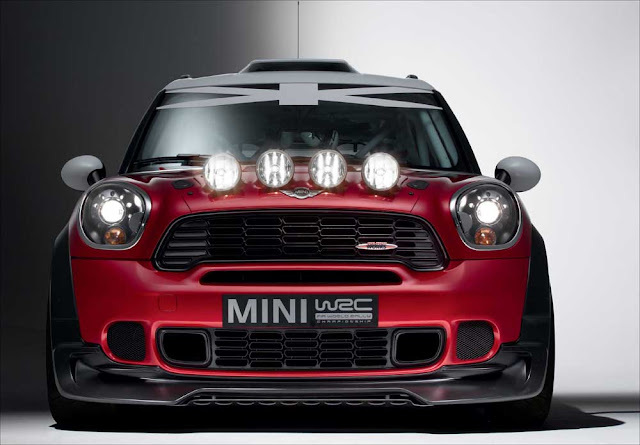 The 2011 World Rally Championship will see the Mini WRC contesting six of 13 scheduled rounds, with Mini competing in the full 2012 season. "The response to our announcement that Mini will return to the world of rallying next year was very positive,” said Ian Robertson, BMW AG board member responsible for sales and marketing. Prodrive chairman David Richards said: "This project is a truly passionate opportunity. Mini is a cult brand which left a lasting impression during its previous motorsport campaigns. We are both extremely happy and proud to be on board as a partner when Mini returns to rallying. "We aim to use 2011 as a preparatory year, amassing experience in order to ensure we are fully competitive from the start of the following season. But let's not underestimate the task ahead of us, nor the stiff competition we will face on the way. “However, our target is firmly set on winning the world championship title again with Mini."